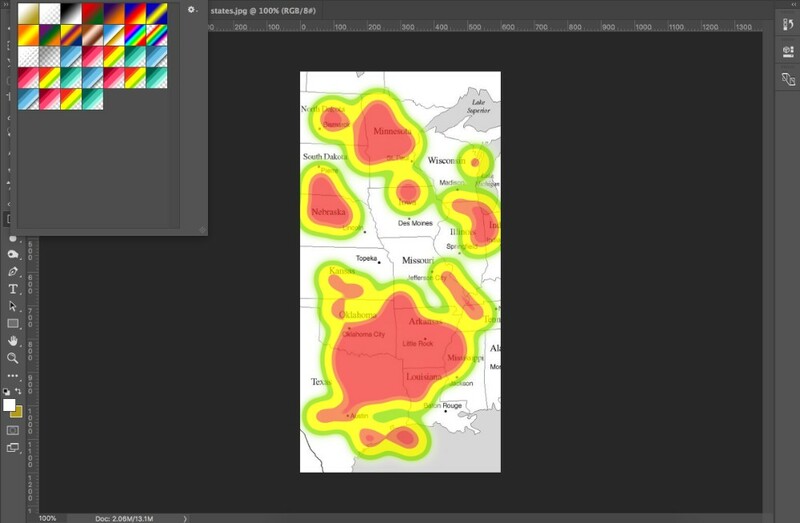 This evening I've been searching for how to make heatmaps in Ai since I'm working on a weather app, and would like to make a weather radar gradient. But I wasn't able to find any way to easily make them in Illustrator. The only way I was finding was making individual layers, coloring them, and blending them all together, which took forever. Instead, I believe the only easy solution is to switch over to Photoshop and use a brush. I found this amazing gradient set from a fellow designer on dribbble: https://dribbble.com/shots/2314823-Freebie-Heatmap-Gradient-Presets-for-Photoshop.